*This is an ARC review! The finished copy will be released on January 2nd, 2018! Gina Ciocca creates a captivating narrative that will entice readers and leave them desperate for more. She writes believable, realistic characters and I absolutely couldn’t put this book down. Marisa is an awesome lead character. She’s strong, resourceful, and realistic all at the same time. I love the lengths she goes to in order to protect her friends and those she cares about, and overall she has a great story arc; I loved reading the story through her point of view. Her conflicting emotions about whether to welcome her former friend Kendall back into her life with open arms is something that I could relate to, and I’m sure other readers will be able to as well. I liked the relationship she had with her younger brother, Nick, and how supportive they both were of each other. I also really liked her dynamic with her best friend Charlie; it was really cool to see how strong their friendship was even though they attended different schools. I appreciated the mention of college and the price of it in the book; I’m about to start my freshman year of college, and trust me, it’s not cheap! I also felt that the pace at which her friendship with TJ progressed was nice. Once again, it was something that felt realistic. Of all the things they had in common, I loved the jewelry making the best! It is so unique. (And I might just desperately want one of those leather bracelets…..) Kendall, TJ’s girlfriend and Jordan, Marisa’s ex were both dynamic characters and had complicated relationships with Marisa due to their pasts, and I thought that the way all of those relationships play out was surprising, yet believable. There’s a few plot twists that I never saw coming that I absolutely loved!! 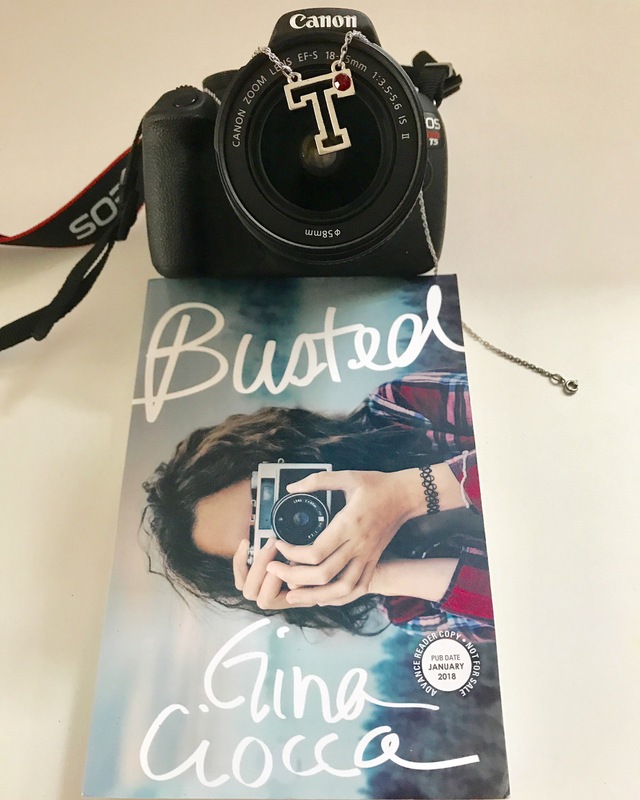 Overall, this book is a must read for teens who like the perfect mix of romance, mystery, and friendship. Since it won’t be released until January 2nd 2018, preorder it now! *I received this book through a giveaway from Gina Ciocca! The synopsis of this book makes it sound very interesting. I want to know how you take “cheater” to a whole new level! It is rather cheap right now on pre-order on Amazon, so I believe I am going to do that on this one. It sounds juicy!